Private or small group (up to 3 students) yoga classes are available upon request. 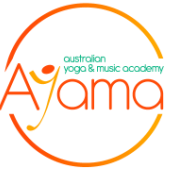 These sessions can be held at the AYAMA studio or within your home. These classes will be tailored to suit your specific needs and can help establish correct foundations as a new student, extend your current yoga practice or assist with rehabilitation from injury. Classes can be purchased as a single session or a 5/10 Class Package. ﻿"Yoga is a technology for arriving in this present moment. It is a means of waking up from our spiritual amnesia, so that we can remember all that we already know. It is a way of remembering our true nature, which is essentially joyful and peaceful... As you establish and sustain this intimate connection, this state of equanimity becomes the core of your experience rather than the rare exception."